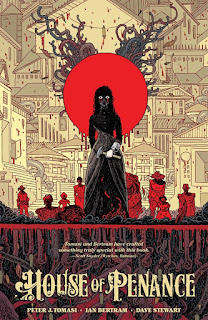 NEGROMANCER 2.0: Dark Horse Comics Announces "House of Penance"
TOMASI & BERTRAM INVITE YOU TO THE "HOUSE OF PENANCE"
MILWAUKIE, OR—This spring, Dark Horse Comics is set to publish a historical tale of horror from New York Times best-selling author Peter Tomasi (Batman and Robin, Green Lantern) and artist Ian Bertram (Bowery Boys). 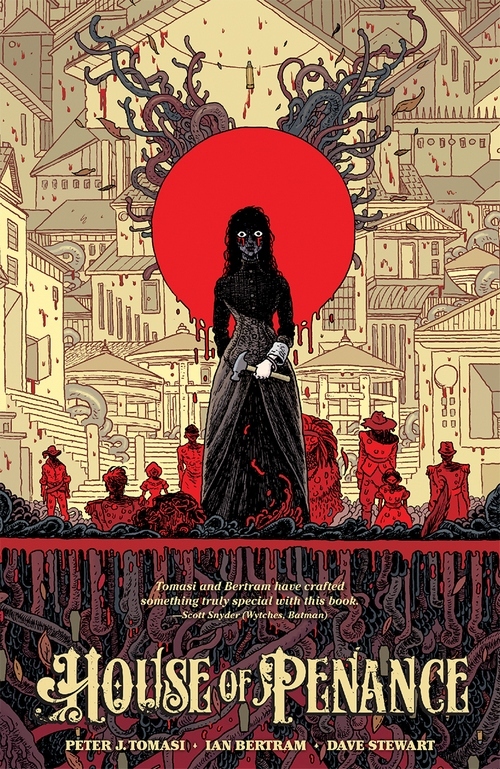 House of Penance is a horrific take on the true story of the Winchester haunted house and one woman’s mission to wash away the blood curse of the Winchester rifle that threatens to claim her own life and soul. Peter Tomasi, formerly a group editor at DC Comics helped usher in new eras for Batman with Grant Morrison and Green Lantern with Geoff Johns, he also initiated incredibly successful special projects like Kingdom Come and JSA All-Stars with Michael Chabon. Many of Tomasi’s books appeared on the New York Times best-seller lists, such as Nightwing, Black Adam, Emerald Warriors, The Outsiders, Blackest Night, Brightest Day, and critically acclaimed creator-owned projects Light Brigade and The Mighty.